Or SRV, or Gilmour, or Clapton, or Hendrix et al. The Mayer thing may be a bit of a distillation in that company I suppose but if it is then it's all the more appropriate as a target. please don't argue over another crappy cheap digital BS amp sim amp. honestly, who cares, except the people selling it, they care. 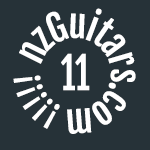 this has to be the dumbest thread in NZ Guitar history. posts have become stalker-ish and arn't about the amp. it`s personal baby. It's not an argument at all. The last couple of posts at least have just been about classic Strat tones. Danger Mouse wrote: You grow up! Molly wrote: Ed's question was about classic tones, not tones that push the possibilities. What did you have in mind? I think I could easily include Mayer in my ‘Top Strat Tones’ List, along with Knopfler, Hendrix and a few select others. I’m all for the day when people stop saying (or companies stop chasing/making) a “SS amp that sounds like a valve amp”. Never really gonna happen and even if it did - what’s the point? Modeling amps and all the tweaky stuff has its place and that’s fine, but IMHO it is never going to truthfully interact with your guitar and playing style as a valve amp would do. They’re different - fundamentally different and should be regarded as such. I had the Katana 2x12 100w for a while, and once the excitement and buzz wore off it I found that although it did sound good, it was as sterile as a hospital ward (just my 2c so please put down those boxing gloves). The ‘digital hiss’ that was present sent me mad, just didn’t inspire me to play. "Our heroes who art in heaven, Hendrix, Bloomfield, King et al be thy names. Thy inspiration come. Thy will be played loudly, on earth as it is in heaven. Give us this day our guitars & amps and forgive us our purchases, as we forgive those who have gone digital." So.... he nailed the quintessential strat tone then. I was triggered by the Capt`s post to Molly. Enjoyed the Rory link by the way. Going to be a Rory day her in super hot Methven today. Molly wrote: Enjoyed the Rory link by the way. Love Rory, but can only handle him in limited quantities as his tone can be pretty sharp to my ears. Sometimes it seems as if he almost has an upper-octave type thing going on when he solos, hard to explain. Sure it's just his combination of lots of top end on the Vox + treble booster + volume. bbrunskill wrote: edit: Ed's video was far better and the LP tones were nice. Once again I felt the strat tones were not for me. I'm pretty new to the Strat thing so maybe I'm just not dialling in a "classic" tone? What would you expect/want it to sound like? I kind hate the really bright, sizzly, snappy strat tones. They don't have to be hugely mid scooped, lacking in sustain and all bite treble! The Mayer clip Molly posted is a stunning strat sound, as is a lot of Dire Straits tunes. Bryan Adams also has a ton of great Strat sounds that I dig. I just think it's really strong. Nothing weedy about that rig. Shades of SRV in there too but then he is a fanboy (right down to employing SRV's old guitar tech). Same album has the John Mayer Trio playing some Hendrix and the very SRV-like 'Who Did You Think I Was'.